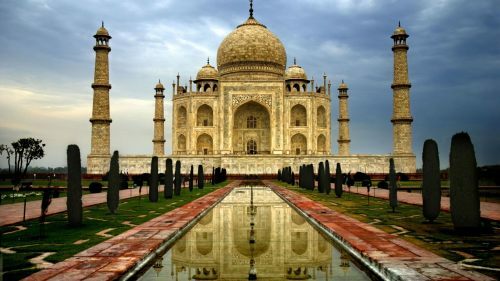 China Eastern is showing one flight from Vancouver to New Delhi, India for $504 CAD roundtrip including taxes. It's possible the price could be a mistake, because there is only one date combination and one booking site showing this unusually low price (Gate1.ca). However, I have seen unusually low prices show up on Gate1.ca before that turned out to be bookable (such as the recent Vancouver - Singapore flights). Jan 18 to Jan 31 -- $481, but 8-9 hour layovers each way. Jan 23 to Feb 5 -- $504, but 22 hour layover in Shanghai. Feb 5, 7 to Feb 21 -- $504, but 22 hour layover in Shanghai. 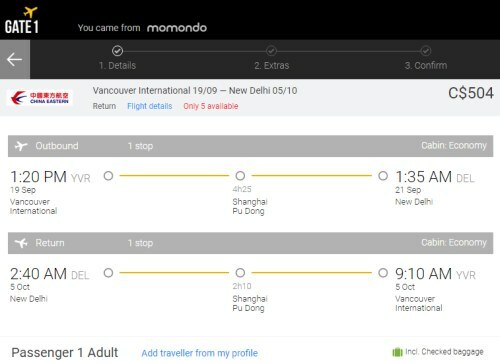 One Response to "Vancouver to New Delhi, India - $504 CAD roundtrip including taxes"
I am interested booking from Vancouver to Delhi round trip.